‍‍‍Enter your email addr‍‍‍ess to sign-up for our newsletter. Still have a question not answered here? We are only a phone call or e-mail away! Voyager Parties is a Brisbane based company but we can service as far as Tweed Heads to the South or as far North as Gympie. Travel fees are not included in the cost of the party and ‍‍‍are charged at a flat rate of 0.50c a kilometre for parties 20km of the CBD. Voyager Parties prides itself on its emphasis on quality. We specialise in one type of party and have mastered it. Besides featuring one of a kind, handmade costumes and‍‍‍ handcrafted wigs, our Chief has worked and trained with the Mouse in Orlando, Florida and has first hand experience thousands of children. Voyager Parties is a company that truly cares about fostering a child’s imagination and creativity through playful interaction. Nothing is more magical than a child’s face when they connect with their favourite fairy-tale character. Are the characters and costumes shown going to be the ones at my party? Yes. We only show pictures on our website of our actual costumes and performer that makes appearances at events. Unless requested for the Voyager outfit the default costume will be worn to your event. My child really enjoyed your party! Do you have any other characters? Yes. Voyager Parties does have other characters available but due to licencing and also our specialisation we can only use these characters for our shorter private Special Occasion Visits or short promotional appearances such as at a cinema or charity event. Currently our other available characters are Rapunzel, Cinderella, The Little Mermaid, Pocahontas and Esmeralda. If you're looking for some other characters give us a call or an email and we will be able to point you in the right direction! Are your parties appropriate for all ages? Yes. 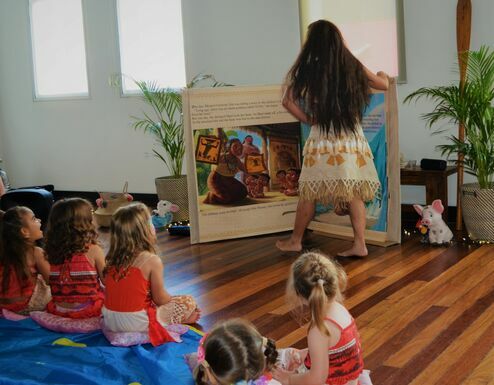 Our traditional parties are generally geared for ages 3-10, but all ages are sure to enjoy our authentic and engaging performances. We provide plenty of activities to entertain both girls and boys. Our characters are available to service a variety of special events and community happenings as well. Our Chief loves to entertain at schools, street festivals and fairs, restaurants and business openings, sweet sixteen parties, and many more. Where do you recommend I hold my party? We have venue hire available at New Farm Cinemas for party and movie packages if your own home is unsuitable to hold a party. Due to the expensive nature and high quality of our costumes and wigs, our preference is to hold parties at locations such as: a home environment, community centres, private rooms at restaurants, etc. Backyards and the beach can make a very beautiful setting however we ask that in th‍‍‍e event of rain, extreme heat, or wind, our performer be provided with an indoor setting. We prefer indoor venues where possible. Our parties book quickly and we recommend booking 4-6 weeks in advance for weekends. Parties are booked first come first serve and a completed contract an‍‍‍d deposit are required to reserve your date and character. Call and book today to have our character entertain your guests with a magical performance they will never forget! Do you have a current Working with Children's Check? Yes, all our staff hold valid Queensland Working with Children Check blue cards which can be provided upon re‍‍‍quest. 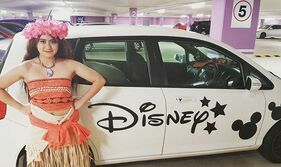 What qualifications does your performers have to teach Polynesian history?